It was during a stay in Philadelphia with Cirque du Soleil when the co-founders of MU, Elizabeth-Ann Doyle and Emmanuelle Hébert discovered the extent of the city’s mural art phenomenon (Mural Arts Program) and its impact on the exposure to art as well as the social and economic development of the city. They knew then that Montreal would be a perfect host for such a project and thus the idea of MU sparked to life… Montreal was going to see its urbanism and humanity exposed on its walls! 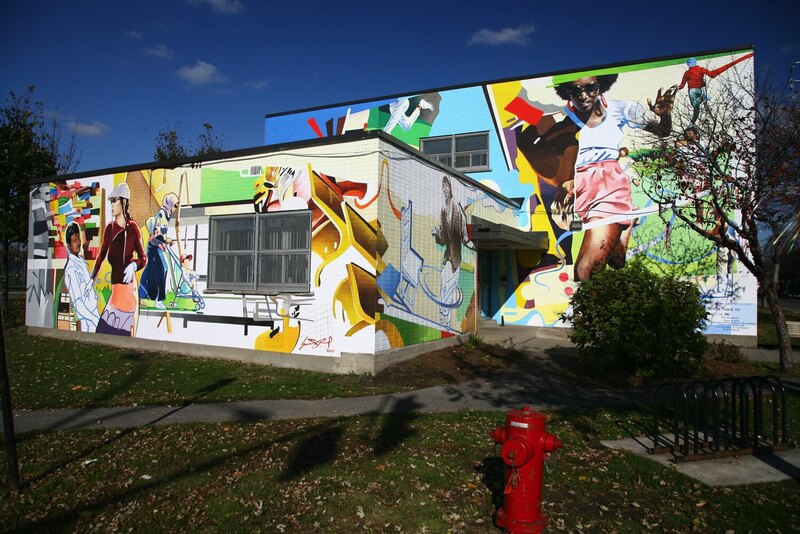 Numerous distinctions, including: Winner of the 34th Grand Prix du Conseil des arts de Montréal, Tourisme Montréal Distinction Awards (Innovation Award – under 50 employees), two Grafika prizes (2008 and 2012), Andrée-Daigle Citizen of Culture prize from the Arts and the City Network (2012) and two National Prizes from the Quebecois en entrepreneuriat contest (2008).